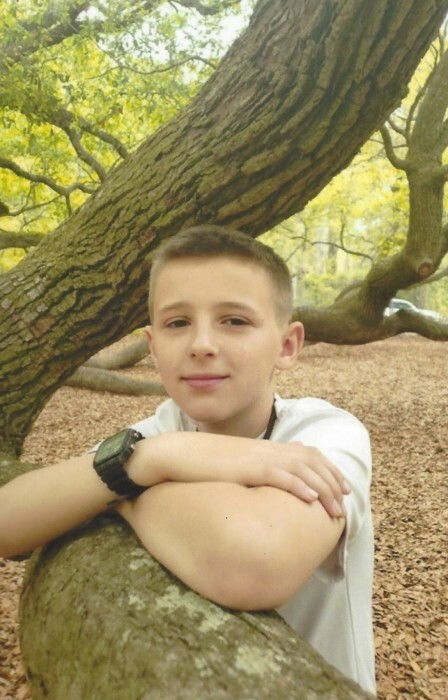 Mitchell Wayne Webber, age 12, entered into rest Thursday afternoon, October 25, 2018, at the home in Canady’s, South Carolina. Born in Visalia, California on March 23, 2006, a son of Thomas Alan Webber and Lindsay Valentine Webber, he was raised on the road of this beautiful country with his family surrounded by love. He was a seventh grade student and was a member of Colston Branch Baptist Church near Ehrhardt. Mitchell was truly an incredible and inspirational young man. At his young age, he knew the love of God and the importance of being a Patriot to one’s country. He possessed the values that so many wish to see in their children and will always be remembered for the love he had for his family and others. He was more that a sweet and kind young man, he was a gentleman. Surviving in addition to his parents are: a brother, Peyton Brown; and a sister, Teagan Webber; and his grandparents, Carla Slocum, Penny Chase, Penny Stocks, and Ricky Hutchison. A celebration of his life will be conducted at 4 PM on Saturday afternoon, November 3, 2018, from Colston Branch Baptist Church, 655 Sunday School Road, Bamberg. The Reverend Shawn Hanks officiating.